We do our best to make sure you get the best! NewLife FREEDOM has partnered with our manufacturer to produce our proprietary Formulas. That way, we can provide you with the finest quality-controlled products available, all made in America. Every detail at every level of our Cannabanoid Hemp cultivation and extraction are are held to the highest standards. That’s a costly process, but we know that you get what you pay for… and you absolutely can FEEL the difference when you use highest-quality products. We don’t want to cut corners to be the cheapest. We DO strive, in every bottle and every jar, to be the best in our industry! NewLife FREEDOM harnesses the amazing, naturally healing powers of hemp to help you feel and live your best! Sourced from a USDA Certified Organic farm and processed in an FDA-registered facility, we believe our products can’t be beat for quality and effectiveness. 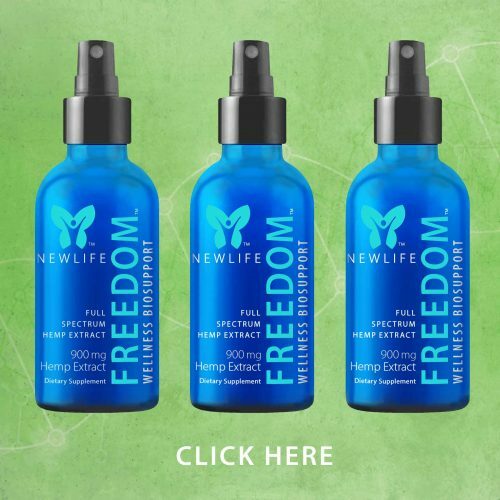 Discover the most convenient way to reap the benefits of Full Spectrum Hemp Extract, in an easy-to-use oral spray! 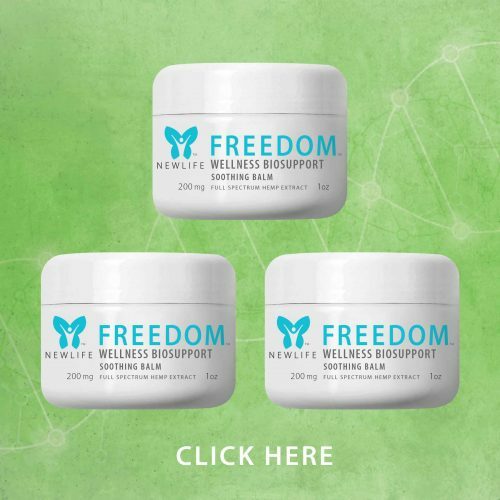 Representations regarding the efficacy and safety of NewLife Freedom Biosupport products have not been evaluated by the FDA and are not intended to diagnose, treat, or cure any disease. Always check with your physician before starting a new dietary supplement program. 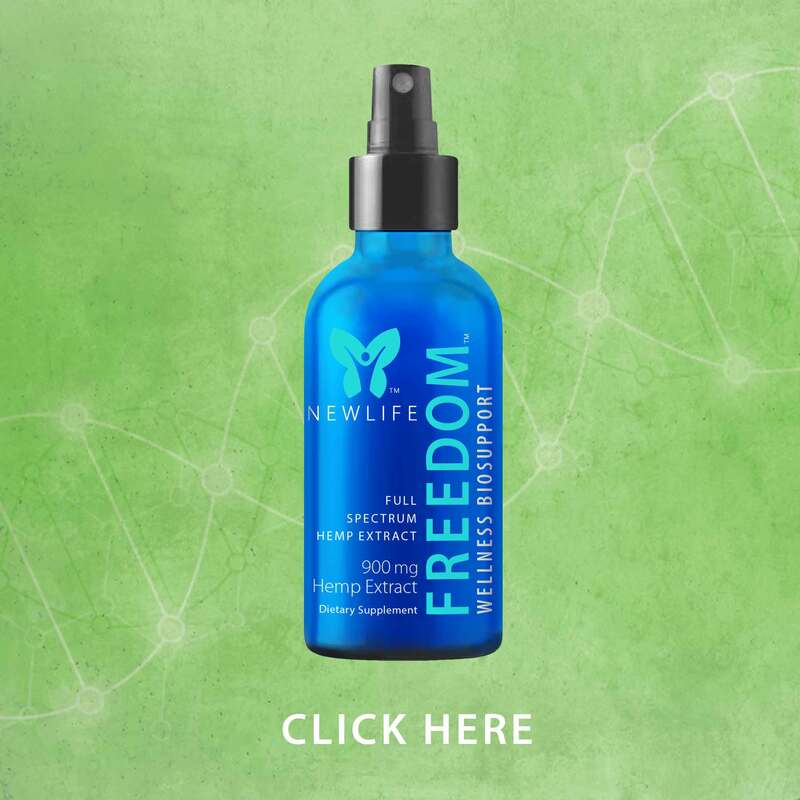 The hemp extract in NewLife Freedom Biosupport products is a natural constituent of industrial hemp plants grown in the United States. 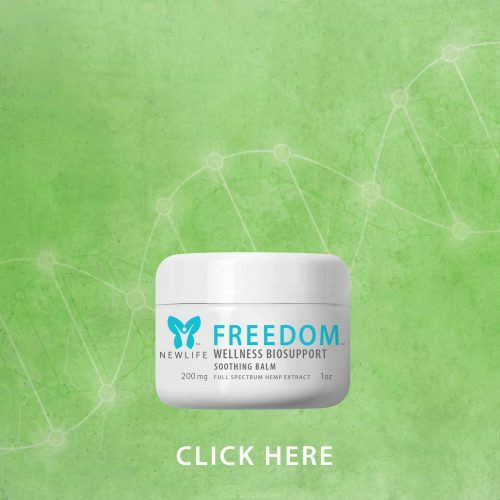 NewLife Freedom does not sell or distribute any products that are in violation of the United States Controlled Substances Act (US CSA).